Winter Has Come to Las Vegas! Game of Thrones, of course! 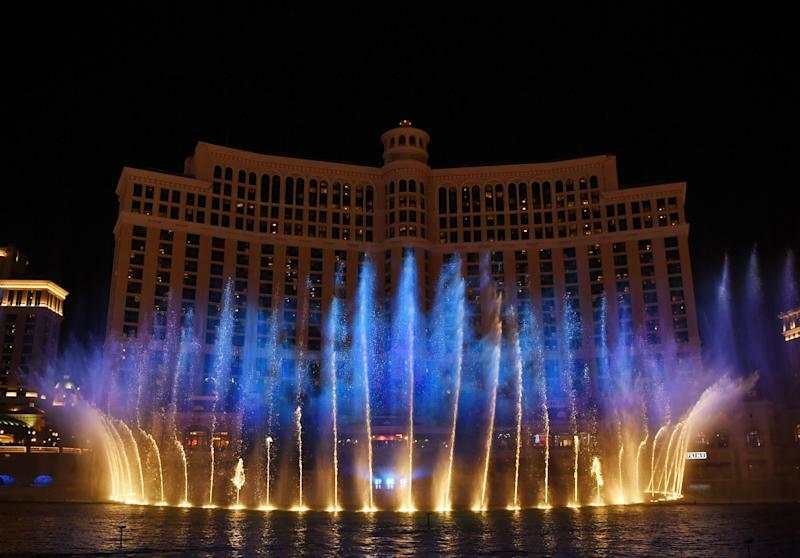 The soaring iconic fountains are known for their choreographed aquatic show with music and lights that really show off the drama of the city. 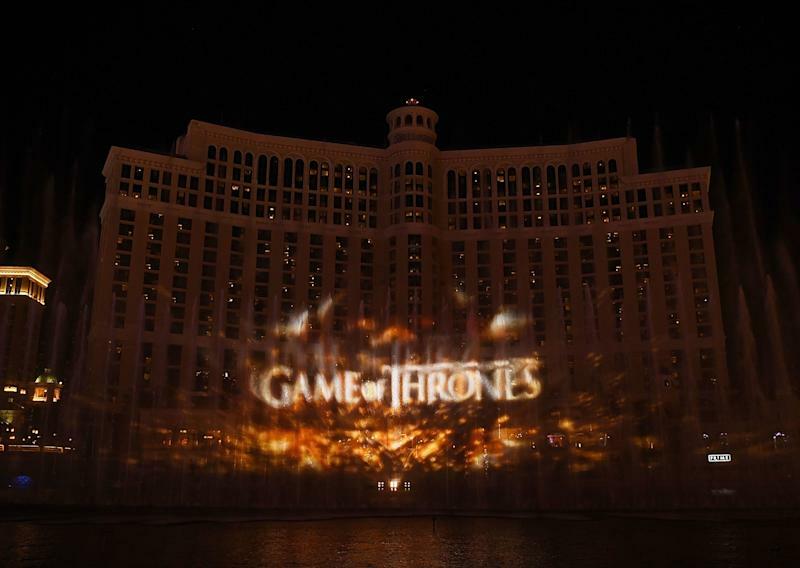 Owned by MGM Resorts International, this luxurious property attracts millions of visitors every year, and now those millions of visitors just might become Game of Thrones fans after watching this spectacle. Oh, who am I kidding? They probably already watch the show. The show features rising water with as we are granted shadowy of the Night King rising his army of White Walkers followed by a blaze of pyrotechnics as dragons fly onto the screen before streaming water formed the show’s iconic throne and crown, a scene which the Lima Ohio writes to be “towering 800-foot-long (244-meter) wall of water emerged from the lake”. Nope! 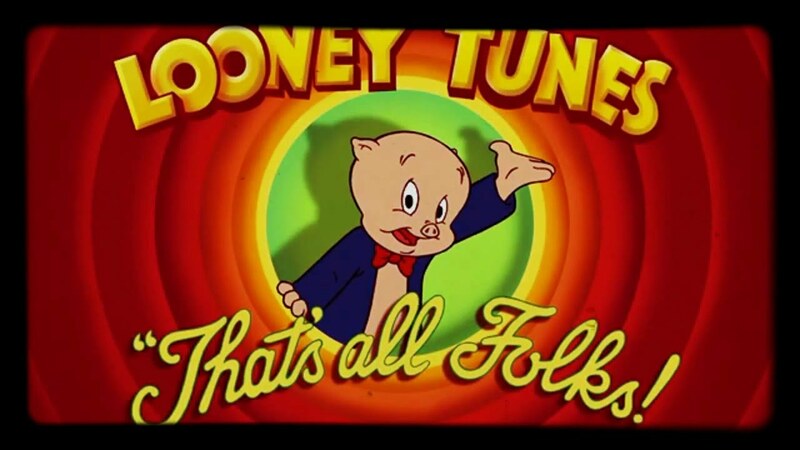 Wrong, Porky Pig, that, in fact, is not all folks! Along with these stellar images comes a new iconic sound, reminiscent of the show’s theme, which the LA Times reported was written by none other than Ramin Djawadi, the composer for Game of Thrones. I can only imagine, but you don’t have to! The Bellagio fountains are found near the Bellagio Hotel and Casino, located at 3600 S Las Vegas Blvd, Las Vegas, NV 89109. The hotel opens at 3am, so you have a place to stay if you choose to fly out and see this wondrous site! Can’t afford a trip (like little ol’ me?). Then watch this recording of the event below! Ava DuVernay has enlisted Game of Thrones composer Ramin Djawadi to score her upcoming adaptation of Madeleine L’Engle’s classic A Wrinkle in Time. Djawadi created ‘Game of Thrones’s iconic theme and was announced as part of the A Wrinkle in Time team yesterday. Djawadi has been nominated for an Emmy four times and has composed scores for Pacific Rim, HBO’s Westworld, and FX’s The Strain. Djawadi will be embarking on a Game of Thrones Live Concert Experience in the U.S. and Europe in 2018. Djawadi was brought to work on Batman Begins by composing legend Hans Zimmer, which earned them both an ASCAP Award. We can’t wait to hear what magical melodies accompany DuVernay’s film, which has made history as the first feature film directed by a woman of color to have a budget of over $100 million.